Since 1998, Cadenza Violins have been in business to provide quality stringed instruments for students and professionals. Our highly skilled staff of professionals and craftsmen can help assist in rentals, repairs, appraisals, or restoration. Visit our locations and ask us about our services. Weili Su is the owner and founder of Cadenza Violins Inc. He was trained as a violinist from age 10 and played professionally in the Nanjing Symphony Orchestra and the Shanghai Ballet Symphony Orchestra. He started to maintain all the instruments in both orchestras and began to love and appreciate the craft. His formal training as a violin maker and luthier started in 1982. He enrolled in the Shanghai Conservatory of Music School of violin making under the tutelage of Dr. Shu-Chen Tan and Professor Hua Treneng. Weili has entered several violin making competitions. His first Violin bow placed highly in the National Violin making Competition in China in 1987. Weili’s instruments and craftsmanship continue to impress colleagues. He is always trying to improve his skills and knowledge, bringing the best in quality and sound. 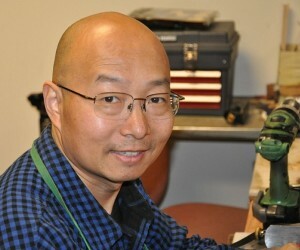 In 1991, Weili Su came to the United States to start a career as a violin maker and repairman. He has worked and studied with many respected violin makers and dealers, including Robert Caur and Margaret Shipman of Los Angeles, California. 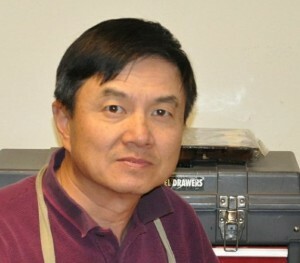 Weili now lives with his wife (Who is a Cellist), son and daughter in Frisco, Texas. 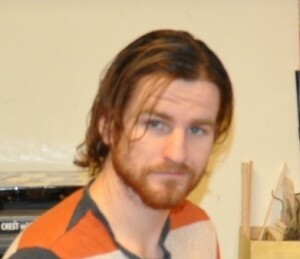 Rex Clark – Luthier / Instrument Repairs / Bow repairs / Shop Manager. Rex Clark has been learning instrument repairs, bow repair and violin making from Weili Su For over 10 years. He handles almost all bow and instrument repairs . He keeps the shop in order and everything running smooth. Rex is continuing to improve his technique and skills under direction from Weili Su. He lives in Little Elm, Texas with his wife and 5 children. Jim is a violin technician and has been doing instrument setup and repairs for 10 years. Every student instrument in our shop has been setup by Jim and inspected by Rex Clark. Jim Sings opera and he is also an expert on Chinese antiques. He lives in Plano, Texas with his wife and son.